Cultivating a skillful team and arming them with unprecedented resources and knowledge about their discipline is our number one priority. This allows us to offer our discerning clients exceptional service and unmatched professionalism, while remaining at the top of the Facility Management offering in Barbados. We continually invest in our talent to ensure they are equipped to handle all aspects of their portfolios, and answer all of your questions, ensuring that your investment is effectively managed. Integrity is at the core of everything we do; it’s a philosophy that we believe delivers the best results. Jan Brown is the Leader of Facility Management at Terra Caribbean, successfully building and overseeing the facilities management team since its inception in 2002. She is responsible for ensuring that the strategic needs of each client are met, to maximize the value added to the properties under Terra Caribbean’s management. Her wide experience and quest for excellence has ensured that both she, and the staff within the department, are consistently refining their knowledge of the industry and specific skillsets. 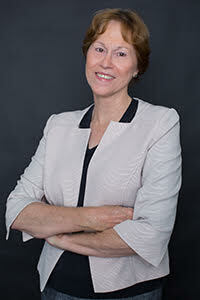 Jan has spent her career focusing on Commercial Property and Condominium Projects. 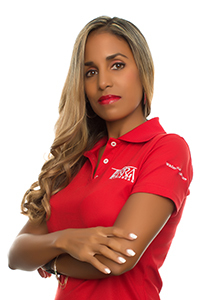 Prior to joining Terra Caribbean, she spent several years in hotel management, and also ran her own Property Management and Accounting business. Janelle is the Assistant Department Manager for Facility Management. Janelle is tasked with managing technical issues across the Department’s portfolio of over 25 Commercial and Condominium properties. She also assists with the day-to-day operations of the Department. Having worked in the construction, manufacturing and higher education sectors in Barbados and the United Kingdom, her qualifications, experience and knowledge add depth to the Facility Management services offered by Terra Caribbean. When she’s not busy at work, Janelle enjoys spending time at the beach and cooking delectable dishes. Liza is a Facility Manager at Terra Caribbean. She joined the team in 2006 after 10 years in the Airline industry. 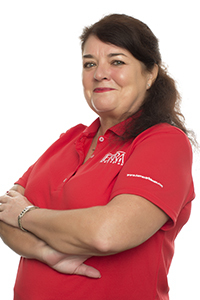 Versed in both residential and commercial management, Liza transitioned into commercial facility management in 2007. In this role, she has managed two A-Class buildings - the current being The Goddard Building in Haggatt Hall. Her meticulous attention to detail is a strength, which she extends to her clients to maximize investment returns and longevity. Liza is a motor sports enthusiast with a keen interest in Barbadian history and architecture and enjoys jewelry making, gardening and yoga. Ryan is a Facility Manager at Terra Caribbean. 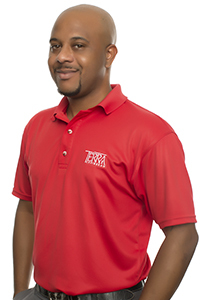 Joining Terra Caribbean over 10 years ago, Ryan specializes in the management of commercial facilities. 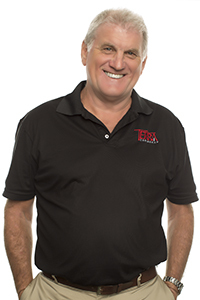 He has amassed a wealth of experience in procedures, preventative maintenance and tenant-client relations. He is a proactive problem solver with an eye for property enhancements, and offers unprecedented levels of service, ensuring all aspects of a property are regularly checked, documented, and promptly communicated. Ryan spends his free time relaxing with friends, and enjoys the occasional bike ride. 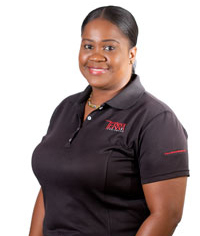 Lesley is a Facility Manager at Terra Caribbean, focusing mainly on managing a prime retail shopping center in Barbados. She has over 20 years of management experience in both soft and hard facility provision, offering a comprehensive and detailed facilities management service. In the past, Lesley has managed complex manufacturing plants and large multi partner organizations. Over time, she has gained vast knowledge in relationship management, project management, safety and diligence, and innovative cost management. Lesley spends her free time with her family and friends, and unwinds visiting places of historic and cultural interest. 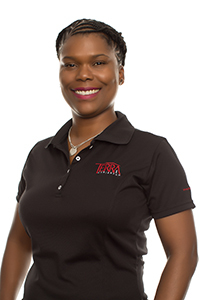 Kendra is a Facility Manager at Terra Caribbean, and one of the newest members to the Facility Management team. In 2008, she completed her degree in International Hospitality and Tourism Management from IHTTI School of Hotel Management in Switzerland. She lived and worked in various countries before deciding to return home to Barbados to share her knowledge and experience in real estate. 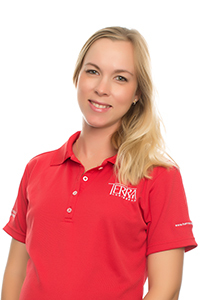 Fluent in German, Before moving to Terra Facility Management, Kendra was an asset in overseeing the management of vacation rental properties with our Blue Sky Luxury team. As a highly motivated professional with excellent communication skills, she takes a proactive approach to managing the day-to-day operations of each property under her portfolio. Chris is a Facility Manager at Terra Caribbean, and is specifically responsible for overseeing the Sapphire Beach Condominiums at Dover Beach. Chris is a self-motivated professional with strong organizational skills. He is focused on delivering strategic and cost-effective systems which help maximize the client’s investment and ensure the property is functioning at optimal efficiency for tenants and owners. His knowledge in construction and planning, as well as his varied experience within the hospitality, retail and property management sectors help to ensure the highest levels of professionalism. In his free time, you will find Chris close to the water or on a tennis court. Schenai is a Facility Manager at Terra Caribbean, and is responsible for overseeing the management of five south coast condominium properties. After living and studying in Canada, Germany, and the United Kingdom, she worked at some of London’s Flagship Hotels. 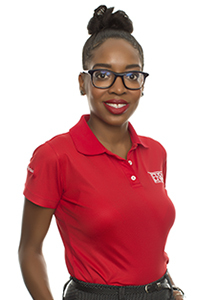 Schenai’s search for new challenges combined with her love of the sunshine and beaches brought her back home to Barbados where she landed herself a position with Terra Caribbean. She started in reservations for Blue Sky Luxury, and eventually transitioned to the Facility Management department. Schenai is highly organized and competent professional with an eye for details. Outside of work, Schenai enjoys quality time with her husband, son and daughter. Adrian joined the Facility Management team in December 2017 and was initially tasked with collecting and recording building systems information for several properties. Adrian’s background in accounting and customer relations gives him an advantage in analyzing and presenting financial information to landlords and also effectively managing tenant related matters. He has a profound interest in maintenance and operations management and intends to leverage his financial knowledge to develop and implement cost efficiency strategies for his assigned properties. Adrian is currently assisting with the management of commercial properties in the Warrens area. With a natural love for the built environment, he enjoys exploring ultra-modern architectural structures and also spends his time cooking and nurturing the landscape at his home. Kelly is a Facility Manager at Terra Caribbean, and is responsible for managing two condominiums on Barbados’s West Coast which are under Terra’s portfolio. With experience in marketing and accounting, she worked as a Valuations Surveyor for 13 years, after completing her masters in the UK. She then assumed the role of Property Development Manager, with responsibility for approximately 400 acres of land including 4 tenantries, a 20-lot beachfront residential development and a college. 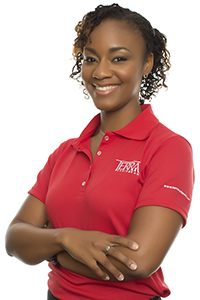 This experience has made her transition to Terra Facility Management an easy step. In her spare time, Kelly enjoys choreographing and performing mimes. Dominique is a Facility Manager at Terra Caribbean. 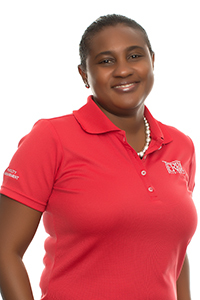 Her current and primary responsibility is managing the CGI Tower Warrens, Barbados. 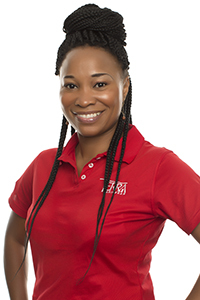 With over eight years of experience in Facility Management, she has gained experience in management of Residential, Condominium and now Commercial Facilities. With sharp organizational and analytical skills, she is able to keep properties running at peak efficiency while fostering successful long-term partnerships with many property owners. Dominique has a competitive quest for excellence and strives to improve her knowledge and qualifications. In her free time, she enjoys painting, creating art and spending time with her family. 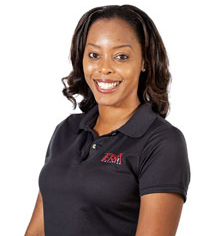 Janelle is a Facility Manager at Terra Caribbean, and is primarily responsible for overseeing the maintenance and management of commercial properties in Barbados. Janelle joined the company in 2016, and has since become an invaluable asset to the team. Janelle’s academic and professional background in architecture give her an edge in helping our clients maximize investments and effectively manage the day-to-day operations of their facilities. Previously, she worked as a Research Associate with the Centre for Metropolitan Density and pursued Graduate Certificate courses in various real estate programs. Outside of work, Janelle enjoys numerous hobbies including scuba diving and motorsports. She loves to explore new cultures through reading, dining, and travel. Alicia joined the Facility Management team in 2017, with six years of experience in Commercial Facility Management and a strong background in Business Administration. Alicia oversees the day-to-day operations and maintenance of Condominium and Commercial Facilities on the South Coast of the island. She is results oriented and thrives on ensuring a high level of service delivery is achieved at all times. With a wide range of management functions, her attention to detail as well as interpersonal and organizational skills are key strengths which she utilizes to efficiently manage her diverse portfolio. Alicia spends her free time relaxing with an inspirational book or sewing simple pieces of clothing. Michelle is the Facility Manager with primary responsibility for managing The Walk at Welches, St. Thomas. Experienced in Residential, Condominium and now Commercial Facilities, Michelle is eager to expand her organizational and analytical skills, while maintaining properties within their respective budgets. Michelle has a competitive streak and is always willing to be hands on and improve her knowledge and qualifications. In her free time, she enjoys travelling to food and music festivals and a challenging game of Squash.